Eating a diverse and varied diet can be beneficial to good health, providing your body with a wide assortment of important nutrients. But this diversity can also pose a challenge to your digestive system. 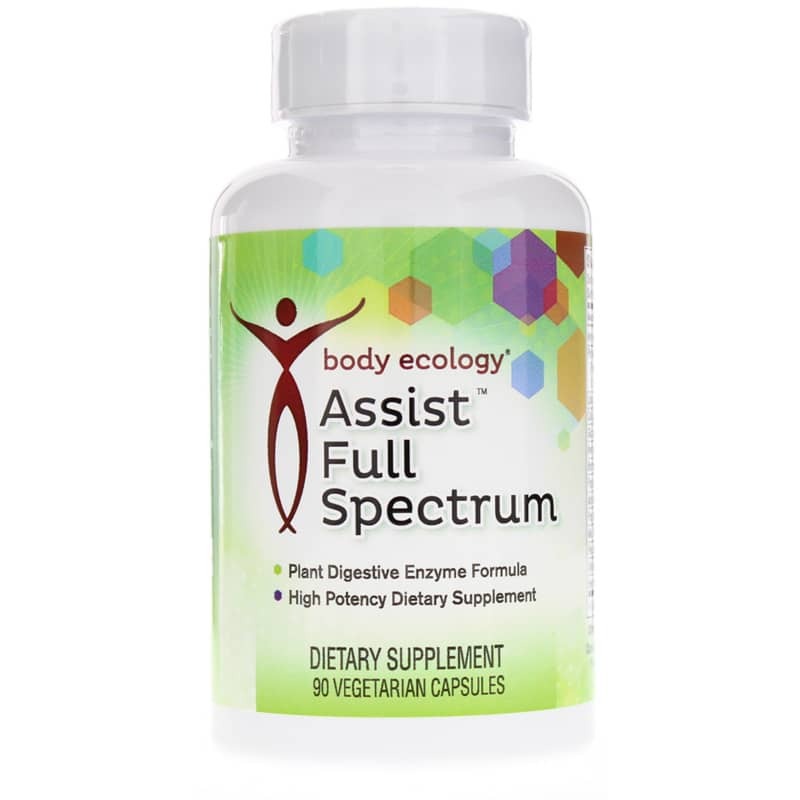 For support no matter what you eat, get help from Assist Full Spectrum Plant Digestive Enzyme Formula from Body Ecology. 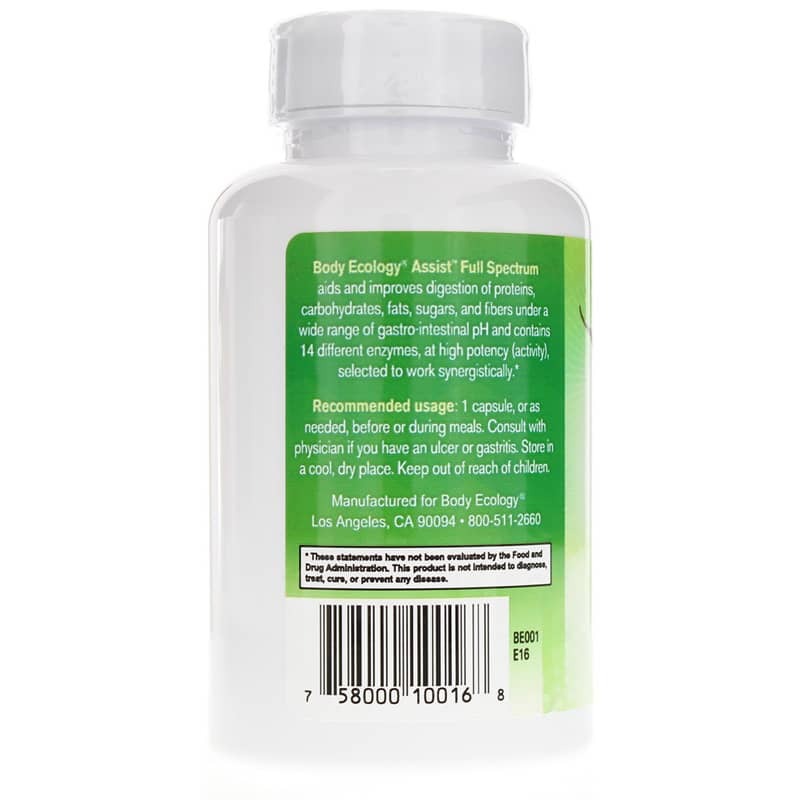 Assist Full Spectrum Plant Digestive Enzyme Formula is a dietary supplement containing 14 different enzymes to support the breakdown of food, optimal nutrient absorption and overall gastrointestinal comfort. Formulated to provide the widest range of useful digestive enzymes, this supplement's 14 enzymes work synergistically to support normal digestion of proteins, carbs, fats, sugars and fiber, helping you to get the most nutrition possible from the foods you eat. This quality supplement is free of fillers and excipients as well as dairy, soy and gluten. It's also vegetarian and made with non-GMO ingredients. Support healthy digestion of your diverse diet. 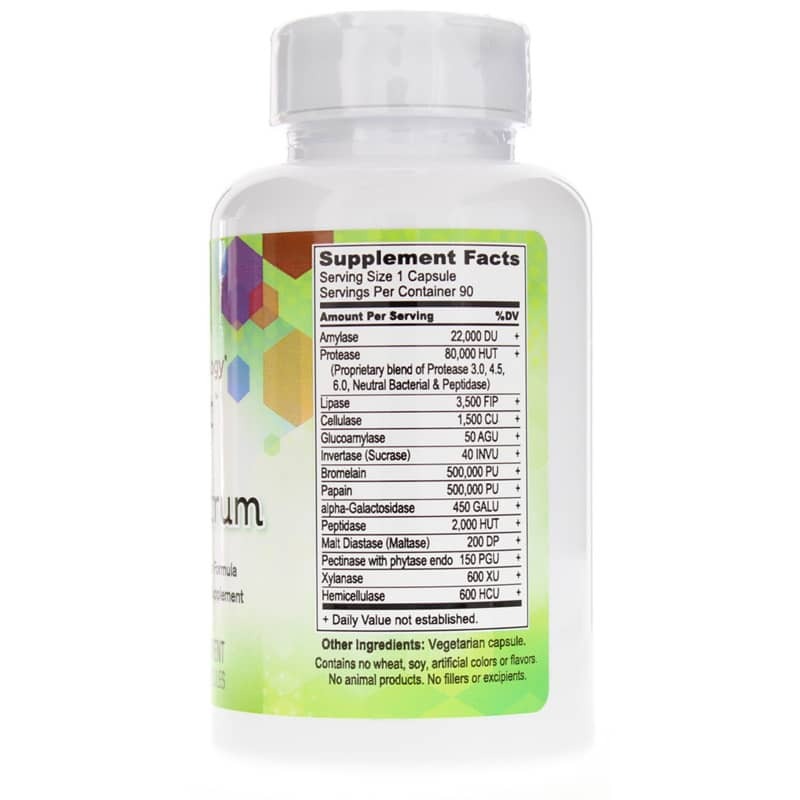 Order Assist Full Spectrum Plant Digestive Enzyme Formula. Contains NO: wheat, soy, artificial colors or flavors, animal products, fillers or excipients. Adults: Take 1 capsule (or as needed) before or during meals. Consult with a physician if you have an ulcer or gastritis. If you are pregnant or nursing, please consult your healthcare professional before using this product. Keep out of the reach of children. This product is really helpful. We found this product and it is truly very helpful and works excellent! Huge change in my son's life. Highly recommend!